Both Michael Alexander and Johnny Banks brought clients more than $600 in profit last night, but Alexander came out on top with a solid 7-2, +$602 performance. Expect more winning picks from our experts tonight as we have a massive NBA card (9 games) and NCAAB and NHL action as well. It’s always a good idea to ride the hot hand, so let’s take a look at a couple of handicappers that have stood out from the rest of late. Michael Alexander destroyed the books Thursday with a massive 7-2 +$602 day. His approach to this craft is truly unique in the industry. With a background in statistics and prior experience in finance, Michael combines in depth statistical analysis with a financial risk/reward formula. 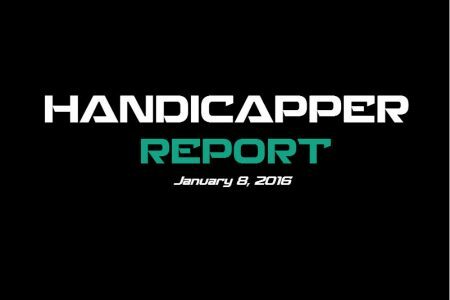 Rob Vinciletti has earned $100 bettors a total of $2,600 over the last 30 days and $1,119 over the last seven days. He is one of the top analysts in the World over the last 24 years and right at or near the top in Every Major sport. Rob leaves no stone unturned, every game on the board is thoroughly analyzed. I’m recommending a play on OKC minus the points on Friday night. Tough spot for the Lakers. Los Angeles returns home after nearly coming all the way back from a huge deficit at Sacramento last night, trailing by 27 points at one point of the third quarter. D’Angelo Russell nailed 11 of 16 shots, scoring 27 points. But Russell suffered an ankle injury and is listed as questionable. Even if he plays, it’s reported he’ll be less than 100% and with five players seeing 30 minutes or more last night, this shallow roster could be in trouble against OKC…again. The Thunder average nearly 109 ppg and they’re third in the league in FG percentage. LAL ranks 30th in FG percentage allowed and have been absolutely owned by OKC in the last four meetings. The Thunder beat the Lakers twice in December, winning by margins of 40 and 35 points. OKC will look to make it five straight covers over L.A., while the Lakers enter on a 7-17 ATS slide against teams with a winning record. I’m recommending a play on the Thunder minus the points.